Hey guys! Super quick post today because I had a very busy weekend! 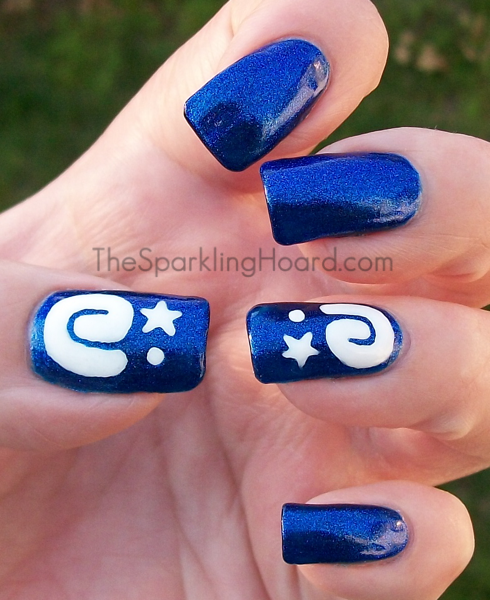 Swirl-I just kind of blobbed it on using a medium-sized nail art brush. It was easier to load the brush up and just pull the polish around, rather than trying to apply pressure and make a defined shape. Dot-I just loaded up a nail art brush and dotted it on, but you could use a dotting tool. Star-I used a tiny nail art brush to carefully draw it on the way we all drew stars back in elementary school! Then I filled in the gaps. In case you've never drawn a star, here is a messy tutorial! Easy, right? I really should try to play these games, they look very cute! Products purchased by me. 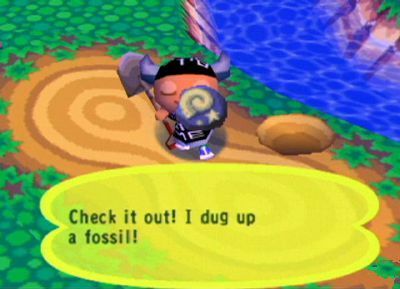 I am not affiliated with Animal Crossing. Its very cute! Never played Animal Crossing but it seems like something my sister will love, haha.